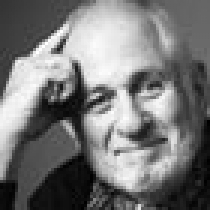 Described by Fortune magazine as an “intellectual hedonist” with a “hummingbird mind,” Richard Saul Wurman has always sought ways to make the complex clear. He has written, designed, and published 83 books on topics ranging from football to healthcare to city guides, but he likes to say that they all spring from the same place—his ignorance. Wurman created the ACCESS city guides, using graphics and logical editorial organization to make places such as New York, Tokyo, and Rome understandable to visitors. Other volumes he created focus on topics such as baseball, football, and the 1984 Olympics. His road atlases employed similar techniques to elucidate U.S. geography and transportation networks. Several of his books are in the permanent collection of The Museum of Modern Art, New York. Wurman chaired the IDCA Conference in 1972, the First Federal Design assembly in 1973, and the annual AIA Conference in 1976. He is perhaps best known for having created the TED conference in 1984, bringing together many of America’s clearest thinkers in the fields of technology, entertainment, and design. He also created the TEDMED conference in 1995 and the eg conference in 2006. Now in his 76th year, Wurman continues to quell his restless intellect with a slough of new projects. Planned for September, 2012, the WWW.WWW conference will be a gathering of the world’s greatest minds in improvised conversation about the complexity of emerging patterns on our planet. Wurman received both his M.Arch. and B.Arch. degrees from the University of Pennsylvania, where he graduated in 1959 with the highest honors and was awarded the Aurthur Spayed Brooks Gold Medal and two graduate fellowships. He has been awarded three honorary doctorates, two Graham Fellowships, and numerous grants from the National Endowment for the Arts. Wurman lives in Newport, Rhode Island, with his wife, novelist Gloria Nagy, and their three biblically named yellow labs: Abraham, Isaac, and Jacob.